The primary objective of this trade show exhibit was to target the interior design and high-end hotel furniture buyers attending the HD Expo in Las Vegas, while showcasing Bernhardt Hospitality’s eight key selling points – one for each display panel. 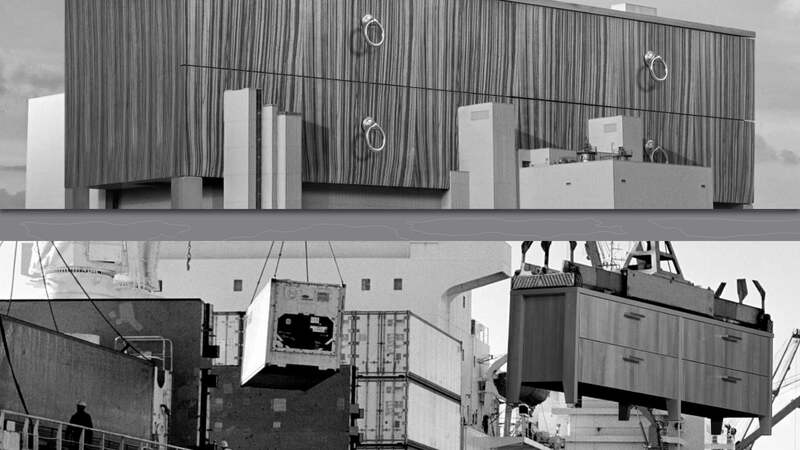 Extensive custom photo manipulation work was completed to place Bernhardt’s furniture within the composition of eight separate worldly locales, with actual corresponding furniture samples placed in front of each panel display. 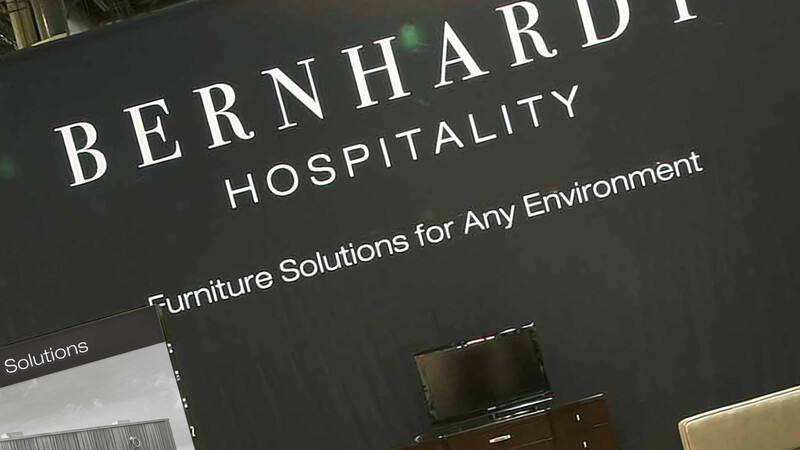 These displays effectively delivered the message to the target audience that comfort can be achieved in any environment when purchasing furniture from Bernhardt Hospitality. 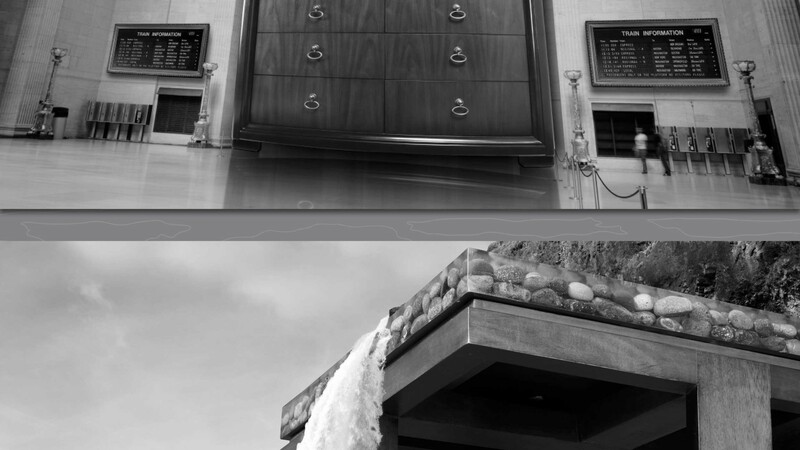 These trade show display panels were designed to be large, bold, striking and eye-catching. 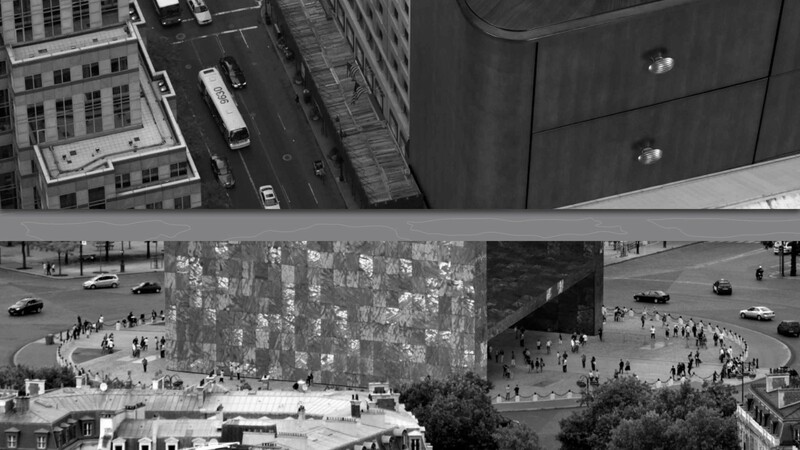 Each photographic panel was 7.5 feet square and back lit to add drama. 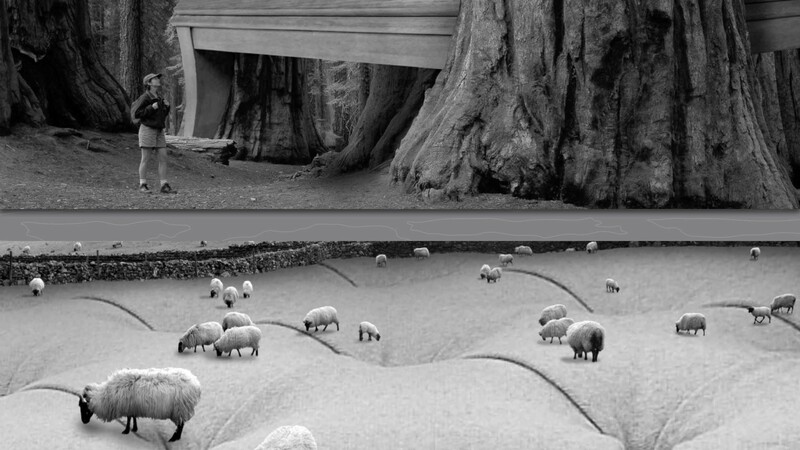 Creative concept development paid homage to Scott Mutter and his “surrational” photographic style, with the overall trade show exhibit evolving around a “travel to comfort” inspirational theme during the creative development process. 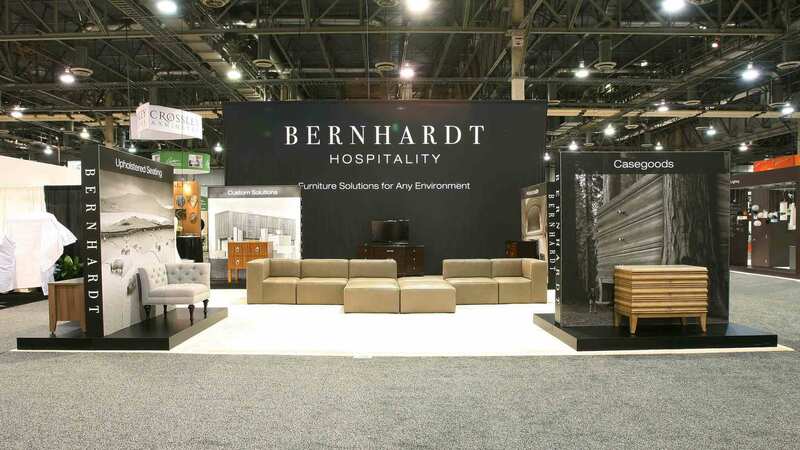 The exhibit created a huge buzz for Bernhardt Hospitality while participating in the HD Expo in Las Vegas. The client also reported significant spikes in foot traffic to their exhibit and captured sales contact leads, compared to the previous year’s exhibit. Full view of the Las Vegas HD Expo exhibit floor from stage right. Full view of the Las Vegas HD Expo exhibit floor from stage left. Full view of the Casegoods and Upholstered Seating display walls created for the Bernhardt Any Environment Exhibit. 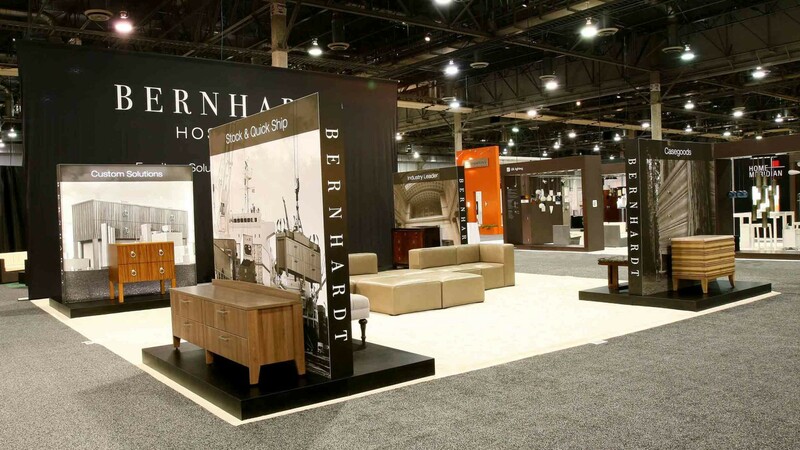 Full view of the Custom Solutions and Stock & Quick Ship display walls created for the Bernhardt Any Environment Exhibit. 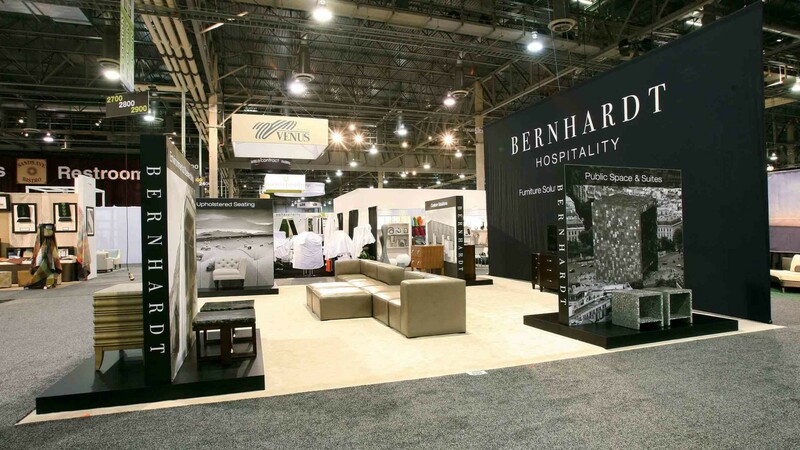 Full view of the Guest Rooms and Public Space & Suites display walls created for the Bernhardt Any Environment Exhibit. 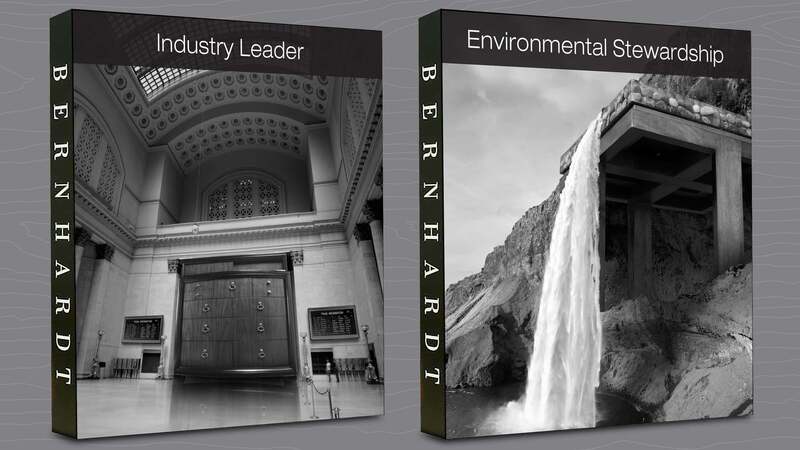 Full view of the Industry Leader and Environmental Stewardship display walls created for the Bernhardt Any Environment Exhibit. 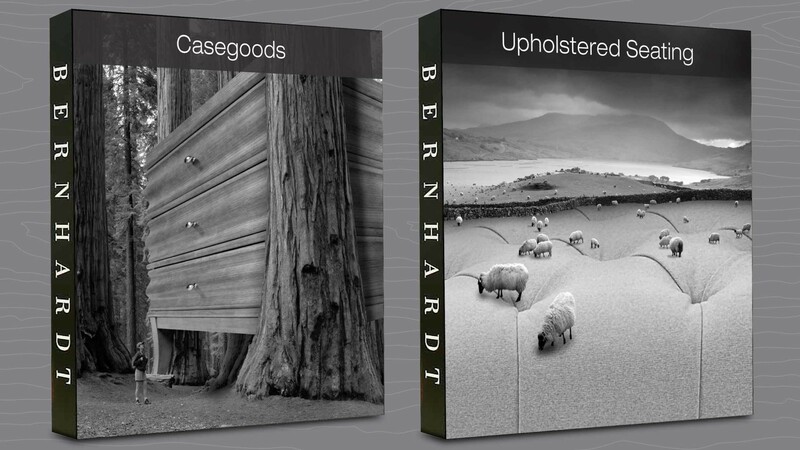 Detail section views of the Casegoods and Upholstered Seating display walls created for the Bernhardt Any Environment Exhibit. 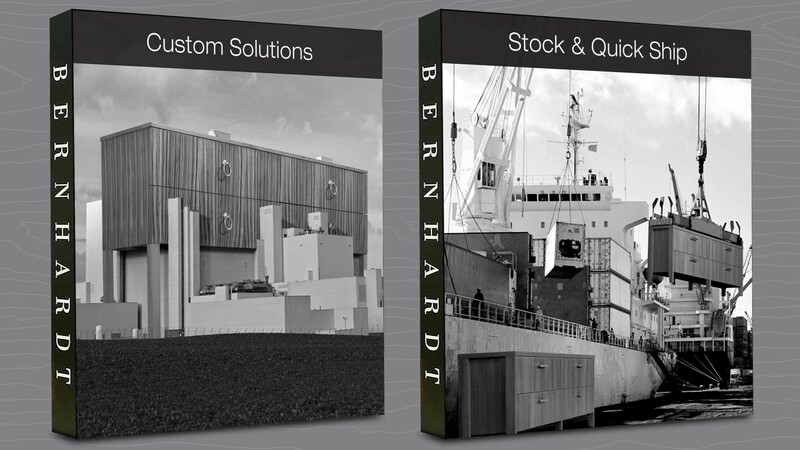 Detail section views of the Custom Solutions and Stock & Quick Ship display walls created for the Bernhardt Any Environment Exhibit. 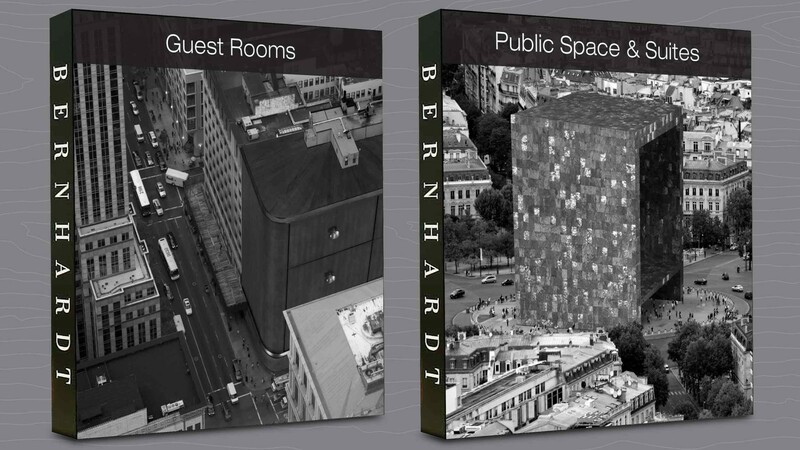 Detail section views of the Guest Rooms and Public Space & Suites display walls created for the Bernhardt Any Environment Exhibit. Detail section views of the Industry Leader and Environmental Stewardship display walls created for the Bernhardt Any Environment Exhibit. All work samples displayed in this online portfolio reflect work that Kevin Brindley performed exclusively, unless otherwise noted above.